On Friday, September 22, the independent singer-songwriter David Vaters will release his latest studio endeavor. Entitled ‘Volume 2,’ the record comes on the heels of Vater’s first volume of solo work which was released to critical acclaim in February. 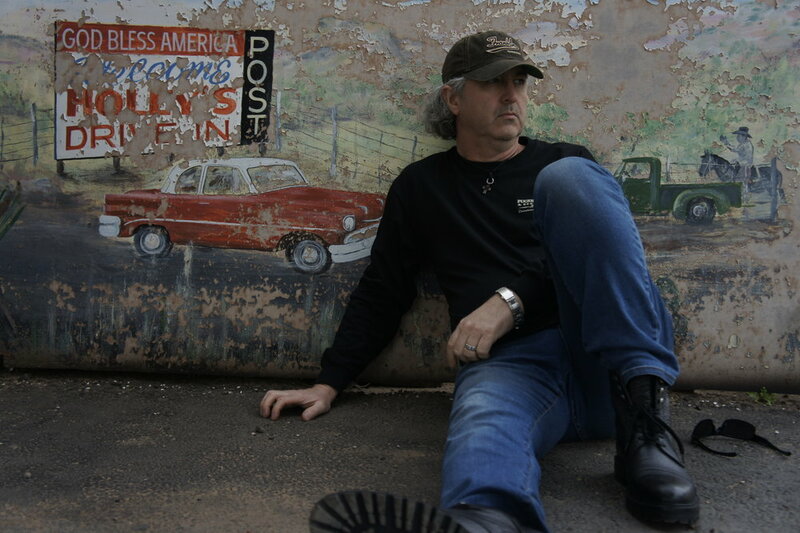 Infusing Americana music with elements of alternative country, folk rock, and contemporary Christian music, Vater has quickly defined himself as a wholly unique talent quite unlike any other act in the music industry. Despite these two recent collections of music marking Vaters’ solo debut, he’s anything but green. The veteran performer and songwriter honed his skills for many years performing on both sides of the Atlantic and lending his sound to a slew of musicians and producers’ work. Now on his own, Vaters has called upon colleagues from throughout his career to help his creative vision unfold. Some of the industry’s finest talent is on display on these albums, including musicians who have worked with the likes of Vince Gill, Peter Frampton, Kenny Loggins, Amy Grant, and others. The upcoming ‘Volume 2’ boasts the same impressive line-up as its predecessor, a collaboration that had critics calling ‘Volume 1’ “nothing if not mature, deftly crafted and powerful.” Like that album, ‘Volume 2’ will be part of Vaters’ ‘A Voice in the Wilderness’ collection of volumed records. “If this is the first album of his out of the starting blocks, at least in a titular sense, imagine what gems are likely to follow,” raved Dave Franklin of Los Angeles’ The Plug. Many independent artists that enjoy substantial critical acclaim are met with a less enthusiastic, niche audience. Vaters defies the norm in this regard, as his genre-spanning style has landed him on a number of notable charts. From his #1 worldwide Christian music position on Reverb Nation to charting on iTunes rock charts in Australia and Mexico, Vaters has proved his relevance as a up and coming talent to take note of. ‘A Voice in the Wilderness: Volume 2’ is available to pre-order now. The record is due out on September 22 for streaming and download on all major digital music platforms. Connect with David Vaters below to stay updated on his newest releases, announcements, and more! Your upcoming record is ‘Volume 2,’ an album that comes on the heels of your successful release, ‘A Voice In The Wilderness: Vol 1.’ What about this collection of songs made you feel it was best classified as a second volume of a larger project rather than a new record unto itself? Will there be further volumes? What are the elements that tie them together? “You know, I really like albums with a title that reflects the project over all, and even if it doesn’t, I think it’s just really great to have an album with a cool, interesting title. Usually it’s one of the titles of one of the songs or just one line or word out of one of the songs that the band or label thought would be cool and great to market! I guess once I decided to title the album ‘A Voice in the Wilderness,’ that was it. I didn’t initially intend to actually do another album. Your music is loaded with a bevy of sonic influence: Americana, folk rock, alternative country, amongst other genres are jam-packed into your sound. Most uniquely, you draw upon Christian influence while maintaining a fan-base of secular music fans, too. How do you walk that line? Do you ever worry about becoming too preachy, or are the themes you’re exploring ones that transcend faith? To that end, if a listener isn’t religious, what do you hope they get out of your music? “First off, this is who I am. The songs are all drawn from life experiences, just like any other artist. Take rappers for example: they rap about how they grew up and where, the pain, things they experienced and what happened to them, etc. I am no different. It’s just part of being a true artist. Nothing fake, contrived, frivolous, or invented. I write and record in a raw, soulful, truthful way, and like truth always does, it pierces straight to the heart without apology. So that’s the bottom line. I recently did some work with Andre Wahl, a producer/engineer friend of mine, in Canada. Maybe ‘Volume 3,’ stay tuned! Anyway, Andre has worked with the best of the best from Sarah McLachlan to Duran Duran, and he calls it “mojo.” He says, some have it and some just don’t have the real, authentic, believable “mojo.” So to answer the question, I grew up in a Christian home, went to church, traveled around the world, worked on some pretty interesting projects, messed up many times and made some wrong turns, and then figured out, man God is pretty cool to bring me through all this and bless me with a great life, wife, and family. So that’s what I guess comes out in my music. While inquiring about influences is often a surface-level question for most artists, one can’t help but feel intrigued as to where you derive your diverse sound from. Not many artists can walk the line between secular and nonsecular audiences and do so in an effective manner. Johnny Cash comes to mind. Bob Dylan does, too, to an extent. Are there other artists you admire that accomplished what you’re striving to? “I always am humbled when I am compared to other greats like who you mentioned and others… I had a lot of influences like Cash, Dylan, Springsteen, Neil Young, Lennon and Harrison, etc. So, again, I’m a product of all of these guys. I’m a little younger than these guys so I like to think that I am writing and recording a “new renaissance” of these great artists and hopefully doing it justice – no auto-tune and sequencing… just real and authentic. I like the deep. I like deep thought – bringing to light things people don’t talk about much. But I think every human being has things they need and want to hear and acknowledge from others and from artists that sometimes don’t reach down deep enough to meet people’s needs! You’ve worked with many musicians over the years in Canada, the United States, and in the United Kingdom. Your new releases, however, signify your debut as a solo artist. You’ve mentioned these songs are some of your more recent songwriting. Are there songs sitting in the vault from over the course of your career? Also, what was the catalyst to strike out on your own as a solo recording artist? “Yes, I have worked with great musicians in two continents, but not on a regular basis. I would say I’ve been on the fringes of the music world. I was always in the business world, so the times I have worked in the music business I have been fortunate to only work with some of the best in the world… I have written over 500 songs – about 100 in the last three years. However, I must confess, [they’re] not all are great songs. I will say that the last three years I feel I have written the best I’ve ever written. So, yes, there are songs in the vault and I am recording some of them and it might just turn into ‘Volume 3’ Who knows!